Invisible sun protection and frizz control. Creates an invisible shield over the hair that doesn't mess with the style. 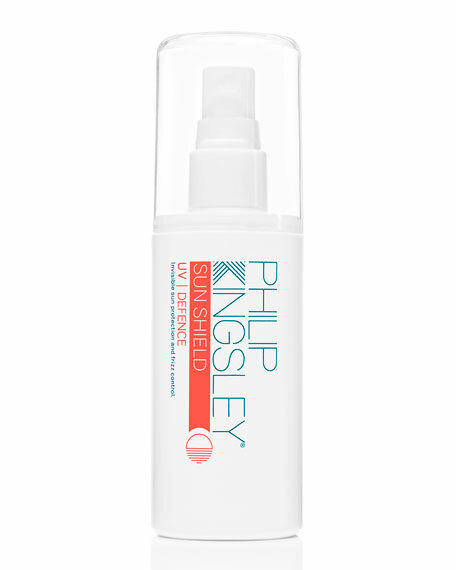 Super lightweight and nourishing mist that smoothes the hair and helps to control frizz. Protects against damage and dryness from UV rays, chlorine and salt water. Want to protect their hair on holiday or in the city without the hair appearing slicked back or coated. Want to control frizz but not add weight. Want to protect against colour fade caused by the sun. Are going on holiday and only taking hand luggage  it's a travel friendly size. Can be scrunched into hair or diffused to create more volume. Light mist can be used throughout the day for touch ups. Spray evenly all over wet or dry hair and leave in. Leave to dry naturally or diffuse. Elastin  delivered excellent conditioning benefits. Meadowfoam Oil  exceptional hair moisturizing conditioning benefits.